********** Standard Retail $15.40 ********** Special Price $10.80 ********** CRC Phase Guard 4 Ethanol Fuel Treatment is a revolutionary new fuel additive that provides the maximum protection available for E10 to E85 fuel and helps prevent phase separation, the #1 cause of ethanol fuel related problems. 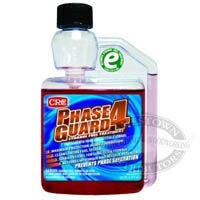 CRS Phase Guard 4 protects all gas-powered 2 and 4 cycle engines from corrosion, cleans the entire fuel system, stabilizes fuel and restores power and mileage potential. 1 oz treats 10 gallons for in-season protection. 1 oz treats 5 gallons for storage Stabilizes fuel for 12+ months. CRC Phase Guard 4 Ethanol Fuel Treatment is a revolutionary new fuel additive that provides the maximum protection available for E10 to E85 fuel and helps prevent phase separation, the #1 cause of ethanol fuel related problems. 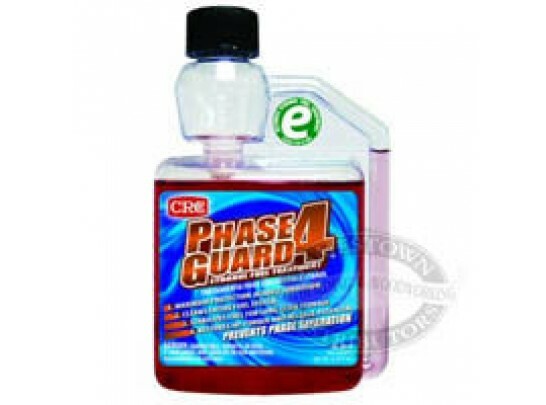 CRS Phase Guard 4 protects all gas-powered 2 and 4 cycle engines from corrosion, cleans the entire fuel system, stabilizes fuel and restores power and mileage potential. 1 oz treats 10 gallons for in-season protection. 1 oz treats 5 gallons for storage Stabilizes fuel for 12+ months.